Sony’s upcoming open world zombie action-adventure, Days Gone is now available to purchase in a range of editions which include special pre-order bonuses. There are a few different editions of the game you can buy, so heres what you can get with each. Days Gone tells the story of an America overrun by a plague thats turned most of the populace into hordes of ravenous Freakers (read: zombies). As Deacon St. John you'll scavenge the land for resources, fighting off the hordes and other survivors as you strive to keep your precious motorbike running and find a reason to keep on going. 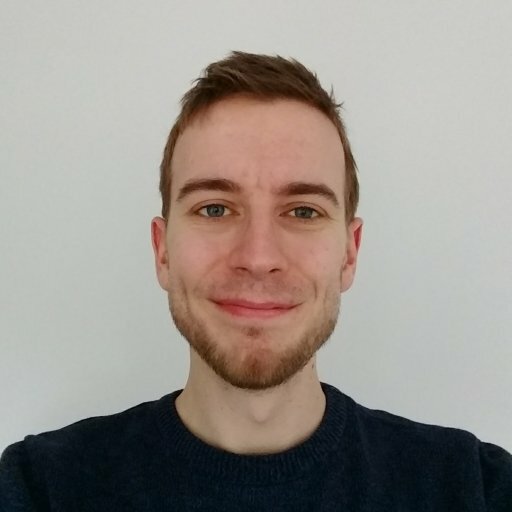 It's being developed by Sony Interactive Entertainment Europe and promises a massive world ranging from forests to snowy mountains, and, intriguingly, "desert lava fields." Pre-orders have just opened up for the game, so here's what you can expect to earn if you buy in advance. No matter what version of the game you buy, if you pre-order you’ll be given access to the Drifter Crossbow early, as well as upgrades for your gas tank, nitrous and shroud, which should all make the game a touch easier to explore. Digital pre-orders on the PlayStation Store will also get immediate access to a new dynamic theme based on the game called Sawmill. Two special editions of Days Gone have been announced: The Collector’s Edition and Digital Deluxe Edition. 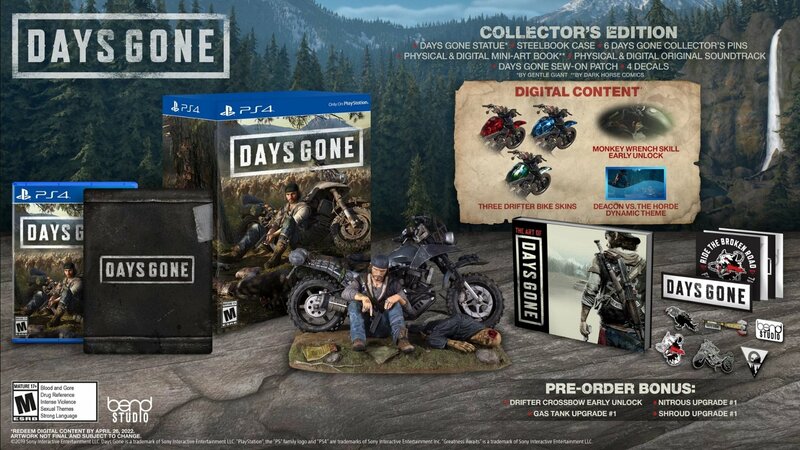 The Collector’s Edition ($139.99) includes a figurine of protagonist Deacon and his bike, a Steelbook case for the game, a set of collectible pins, a digital and physical art book, a digital and physical soundtrack, a sew on patch and four vehicle decal stickers. You’ll also be given some extra goodies in game including three Drifter bike skins, early access to the Monkey Wrench skill and an extra dynamic theme for your PS4 called Deacon vs The Horde.If figures aren’t your thing, the Digital Deluxe Edition ($69.99) contains, funnily enough, all of the digital aspects from the Collectors Edition, so that’s the art book, soundtrack, bike skins, Monkey Wrench skill and dynamic theme. Days Gone releases on PS4, April 26.